Well, it’s finally here. 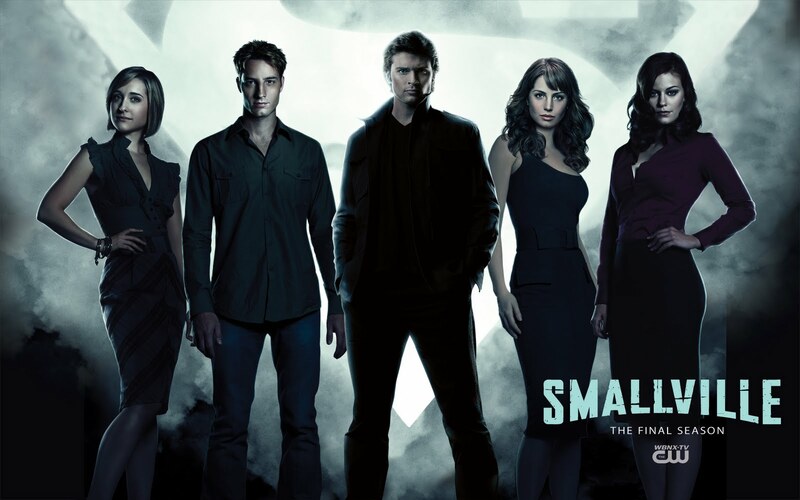 After 10 years, 217 episodes & the distinction of being the longest continuously running Sci-Fi TV show, Smallville is going to fly off into the sun tomorrow night. My Friday nights from 7-8 will suddenly open up again & the question that have plagued so many viewers for this season (and others) will finally be answered. Will he fly? Will we see the suit? Will Clark & Lois actually make it down the aisle? What is going to happen to Chloe? I have watched this show with near religious fervor for the past 5 years & I couldn’t let something as momentous as the end just go by without reflecting on a show that has actually meant a lot to me over the past 5 years. 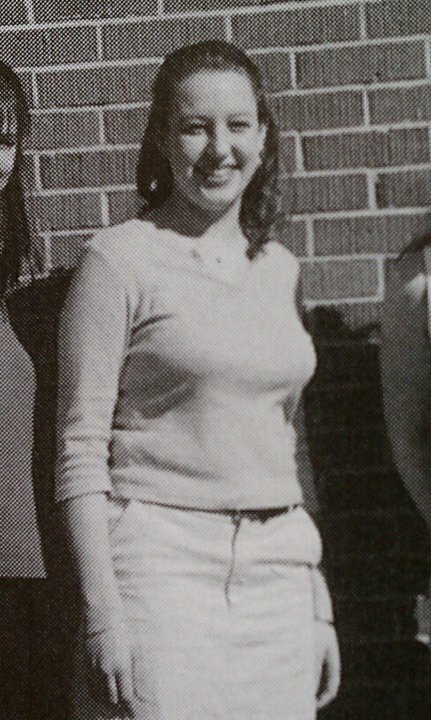 Me around the time Smallville started. Smallville premiered on October 16, 2001 & I was totally oblivious to it at the time. I was far too caught up in watching shows like Dawson’s Creek & Buffy the Vampire Slayer. I did not even know that Smallville existed. I discovered Smallville later, exactly when I was supposed to. 5 years later – as a sophomore in college. I started school at MSU in the fall of 2006 & I will be the first to tell you that I had set up in my mind what the experience would be like & let me tell you that it was vastly different than anything I expected it to be. And I don’t mean that in a good way. I tried out different things, went to BSU a few times & just never really found a spot where I felt like I fit in. I was browsing the Internet one night after having been there a few weeks & discovered a video of Smallville scenes on YouTube. I had seen the movie “Superman Returns” (not the greatest effort, but oh well) just a couple months prior & once I realized what Smallville was about, I was intrigued. I watched video after video on YouTube, but that wasn’t enough – I needed to see the actual show. I discovered that the 6th season premiered on September 28th, which meant that I had time to play catch up. I used what was meant to be school money to get on Amazon, buy seasons 1-5 & have them rush delivered to my apt. Note: Don’t do things like this. I have never regretted it & might not have survived the semester without my Smallville DVDs, but my parents were NOT HAPPY about it at all. I began having nightly marathons & managed to catch up on all 5 seasons with an alarming rate. I still wasn’t having much luck finding just the right niche at school – all the people in my classes had discovered that someone or someones that they fit with in all my classes & I was one of those people that just wasn’t finding anyone. 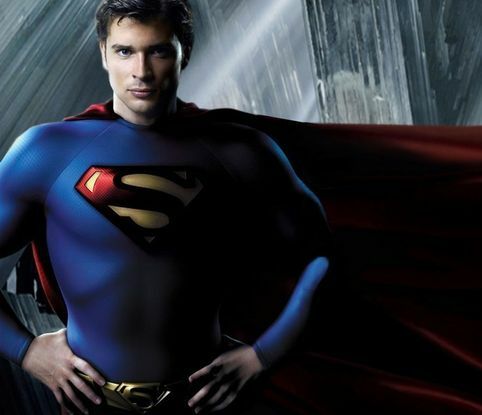 I would come home & watch Smallville – which was & still is – a show about a guy just trying to figure out where he fits in the grand scheme of things. A guy trying to embrace his differences, sharpen his strengths, weed out the weaknesses & figure out where he belongs. I had a rough time for the one semester I was at MSU & I moved home in early December. MSU wasn’t where the Lord wanted me to be & I had learned that. I’d also learned that Smallville probably got me through what could have been a much more difficult time. When you are having a rough time, there are certain things that just bring a little sunshine into your life & make things better. 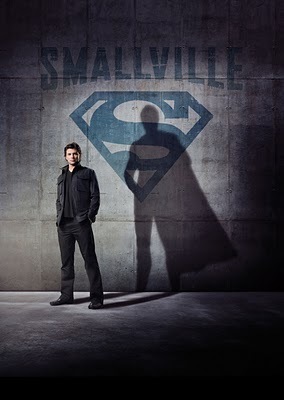 Smallville was that for me & so once I moved home, I kept right on watching it. I’m sure my parents were thrilled to now have to be subjected to weekly viewings of it, ha-ha. Smallville provided me with a pick me up when I was having a rough time. Once I decided what my next move was, I stepped out of my house & into a whole new college experience. This time I went south to USM & along with the necessities for college life (pots, pans, a bed, clothes, etc…) I took my Smallville DVDs with me. My Mom was like “you really need to take all of these?” And all she got was a look. Of course I needed them. I had some of the most wonderful times over the next three years at USM & once again, Smallville brought about something unexpected. Friends. I quickly discovered that my friend & roommate Kristen was a Smallville fan & in turn, she introduced me to some other people who were also Smallville fans – although they probably weren’t attached in quite the same way I was. Each week when Smallville came on, my new friends came over. We all watched together & as Clark Kent grew up our friendships grew as well. I found people that I could trust, rely on, talk to & just have a good time with. Who knows if we would have been such good friends had we not had Smallville to bond over? Smallville helped me find friends when I was starting out in a new place. 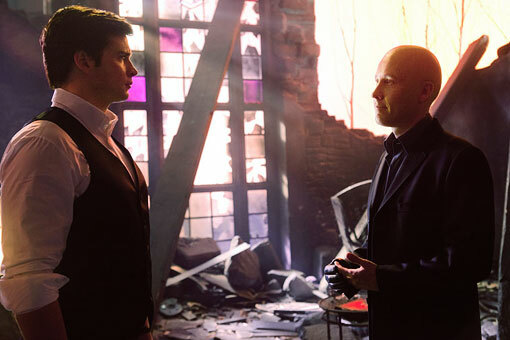 Smallville…through the wise words of some of the characters, courtesy of the writers…hastaught me some valuable things. A show is always good if it can teach you some things. I would like to personally thank whatever writer coined that phrase. It could not be more true. Mistakes are a part of life. They are a part of being human. They are a part of being Kryptonian too apparently. Everyone makes mistakes, sometimes I make numerous mistakes in one day. Sometimes the mistakes that we make are huge & have the potential to change the course of your life forever. It is those kinds of mistakes & the reaction you have to them that makes you into the person you are going to be. A mistake that seems to be the end of the world, if handled correctly can be the start of a whole new world. It all depends on how you come back from the mistakes you make. Side note – I wouldn’t trade my Dad for anything, but if I was forced at gunpoint to choose someone as a new dad, Jonathan Kent would be it. He is awesome. Just sayin. I know – fail. I can’t remember if Lex Luthor said this or Lionel Luthor but that doesn’t change the point. You are who you are, so it better be somebody good. I realize that people change but I also believe that deep down – the person that you are at your worst is the person you truly are. There are some people who are wonderful when things are going good & life is great, but give them adversity & they change. A person will revert to their true nature when they are dealt a tough hand; that is the time when a person’s true colors show. So make sure that the person you are when you’re at your worst is the person you also are when you’re at your best. Because you always return to your true nature. “A Hero is made in the moment” – Clark Kent. Truer words were never spoken. True heroes, like the men & women of our military, fire fighters, police officers, etc… These people don’t sit around & think about how to make sure that they look good. They work hard & when the time comes & they are called into action they do their job. They do their job without wondering if they will be praised. They do their job knowing that it may cost them their life. They do their job because it is the right thing to do, not because they foresee the possible fanfare & accolades that could come with the job. A hero is made in the moment & the choices that they make. Superman is a fictional hero but our world is filled with true heroes that save lives every day. They are made in the moments that define lives. ﻿The final thing the Smallville has left me with – I’m on the hunt for my very own Clark Kent. He doesn’t have to be able to fly, shoot fire from his eyes, run faster than a speeding bullet…he doesn’t have to be able to do any of those things. Those are things that Superman does. I want Clark Kent. And yes, I know…Clark Kent is Superman. So give me the powered down version. He doesn’t even have to have dark hair & piercing blue (green? Tom Welling has green eyes, Clark Kent has blue…I’m so confused) eyes. My Clark Kent could be a red head with brown eyes – that’s cool. I’m just waiting for him. If you want to know what kind of guy my own personal Clark Kent is, you’ll need to find an episode from season 9 or 10 of Smallville. Watch the way Clark Kent treats Lois Lane & you will have your answer. So, I’ll wait. Because I know he’s on his way & hey – it even took Superman a little while to figure out the super speed thing. So maybe he’s just gotta get a handle on that. Well – I guess that’s all. 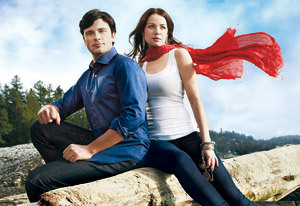 I have loved watching Smallville for the past 5 years. I managed to cram 10 years worth of TV into 5 & it was great. Not sure yet what I’ll do this September when there is no new story in the continuing saga of Clark Kent, Lois Lane & Lex Luthor…among numerous other characters. I’d like to think that I’ve discovered little parts of each character within myself at some point over the past 5 years. The loyal friend like Chloe, the never backs down Lois Lane, the scheming Lex Luthor & yes, even the super heroic Clark Kent. What do I want out of the finale tomorrow night? I want the suit. I want flight. I want Clark & Lois to walk down the aisle to their happy ending & I want Clark to vanquish the villain & save the day. In short – I want it all. But hey – Clark Kent is destined to be Superman. Surely he can pull off a Super finale?